A retrospective of Kane Hodder's career. At the beginning of To Hell and Back: The Kane Hodder Story, Kane Hodder claims that he has murdered more people on film than any other actor in history. As a horror movie icon who has played both Friday the 13th’s Jason Voorhees and Hatchet’s Victor Crowley four times each, he is probably correct. But even if he isn’t, no one is going to argue with him. The title of To Hell and Back: The Kane Hodder Story says it all. It is a retrospective of the life and career of the legendary stuntman-turned-actor, beginning with his relentlessly bullied childhood and leading all the way up to his becoming one of the biggest stars in the horror world. 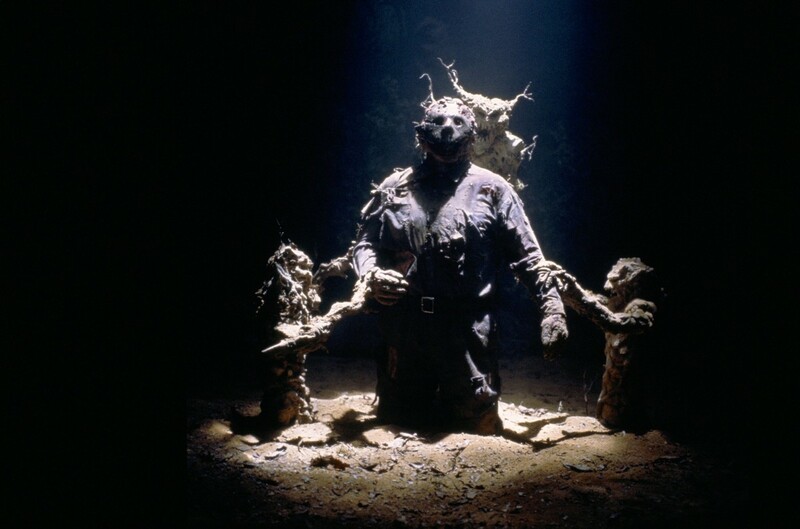 Although the movie includes interviews with filmmakers that have worked with Hodder, such as Adam Green (Hatchet III) and John Carl Buechler (Ragewar), as well as from fellow horror icons like Robert Englund (A Nightmare on Elm Street) and Bruce Campbell (The Evil Dead), most of the story is told in Hodder’s own words. Director Derek Dennis Herbert (“So Social”) got Hodder to open up and spill his heart out for the camera, and that’s a good thing, because the movie features some intense stories. About a third of To Hell and Back: The Kane Hodder Story deals with a 1977 accident which left him with burns over more than half of his body. Hodder talks the audience through not only the stunt-gone-wrong, but also the direct aftermath and the long-term rehabilitation. It’s horrifying, heartbreaking, even infuriating (the first hospital to which he was admitted was grossly incompetent). It’s also a draining segment, with even a moment where Hodder asks the camera to stop because he’s getting emotional. This is the “to hell” part of the movie. Of course, it winds up being an uplifting story of courage and determination in the end, because the best years of his career happened later (the “and back”). He even tells of the fire stunts he’s done since, seemingly laughing in the face of the threat that almost killed him. Another interesting story that Hodder tells regards his side of the Freddy vs. Jason fiasco. After portraying the Camp Crystal Lake Killer in four movies from Part VII through X, Hodder really wanted to play Jason opposite Robert Englund in the ultimate horror movie crossover. He even read (and loved) the script, and waited for the call. He never got it, and the role went to Ken KIrzinger, a stuntman who “had played Jason before” (he strapped on the hockey mask for a single car stunt in Friday the 13th Part VIII: Jason Takes Manhattan when the director didn’t want to risk Hodder getting hurt). In recounting the tale, Hodder comes across as hurt and disappointed, but not nearly as hurt and disappointed as the fans were, seeing as how they were denied the opportunity to see Hodder vs. Englund. To Hell and Back: The Kane Hodder Story is more than just an analytical survey of Hodder’s career. It’s an oral history of everything that has made him into what he is today, both as a performer and as a person. It’s mostly for fans, but even those who have never heard of him will be entertained, and most of those newcomers will probably end up becoming fans of his by the end, especially after seeing the concluding retrospective of action shots from his movies. It’s a fun mix of “that was awesome!” and “he was in THAT?” that winds up being the perfect way to put a cap on the movie.